All comments will be moderated to maintain decorum but no honest comments will be held back. Your helplIne number is not accessibly. Please call me on 9824057967. I am interested in wraps for the pebble time steel. It would be awesome if you could start selling wraps from gadgetwraps or slickwraps or from dbrand along with the screen protectors(which you are already selling). Please do drop me a line if you are planning to do so. Good day. At times due to connectivity issues such instances happen where the payment gets charged on customer's card/bank account still the customer receives an error message. We try to resolve such issues at the earliest but due to the involvement of multiple stakeholders, at times it can take upto 15 days. In your case, the payment was confirmed to us by your bank on 8th May and immediately we tried to reach you on phone as well as email, confirming with you whether you wanted a refund for your order or you wanted it to be processed. Based on your confirmation dated 12th May we have processed your order and you shall be receiving your Screen Guard within 2 working days. We apologise for the inconvenience caused to you and hope that the Screen guard will live up to your expectation. If possible, please share your feedback about the Screen Guard with us. I placed an order for pebble scratch guard today on 6th may and my bank account got charged for a total of Rs. 590.00 but instead of receiving a confirmation email I received an email stating that I tried to purchase an item which didn't go through. I sent an email to the customer service desk and haven't received any reply yet. Is it fraud or what??? I want my money back to my account asap. I purchased my Watch around 2 months back from its official site getpebble.com back in US. Now I shifted back in India. Does my watch warranty's still going to cover by you People? i had called on the customer line about 8- 10 days ago and enquired about pebble steel. it was conveyed to me that the watch will be available in 10 days . 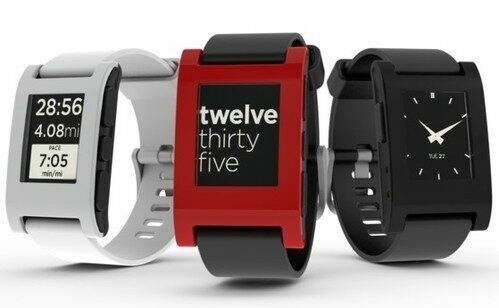 i want to buy the pebble steel matte black.kindly inform me as soon as it becomes available. I have a 8 month old black pebble watch with box and accessories. Purchased directly from the Pebble store. With no scratches and 3 gadget wrap skins with different color. Interested person contact me rjeyvignesh@gmail.com. Asking price 7.5K.